VTUEEE(Veltech Technical University Engineering Entrance Exam) is a national level Scholarship Eligibility Test conducted by Veltech Technical University for admissions to various undergraduate engineering courses offered by the University. The exam is held in pen and paper mode(offline). VTUEEE will be held in two phases. The application forms of the exam are now available on the official website of exam. 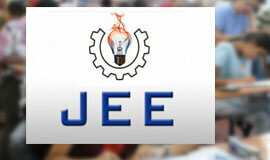 VTUEEE results: A merit list will be prepared on the basis of the total marks secured in the VTUEEE. 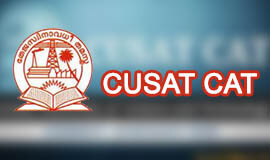 VTU will not send the marks of the candidates (selected or unselected) by post. At the time of publication of the results, the rank will be intimated through email if the email of the applicant is provided. Since the machine gradable sheets are graded and scrutinized with extreme care, there is no provision for re-grading or re-totaling. No photocopies of the answer sheets will be made available. No correspondence in this regard will be entertained. VTUEEE is based on Bloom’s Taxonomy Pattern. 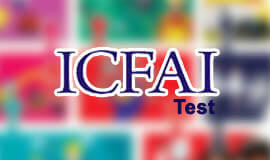 The test aims to examine a candidate’s subject knowledge ability, comprehension ability and critical analysis ability. The questions are one tier and two tier multiple choice types. 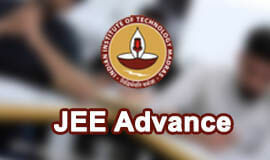 VTUEEE will consist of three parts, namely Mathematics, Physics, and Chemistry having 50, 25 and 25 multiple choice type questions respectively for all B.Tech. Programmes. There shall be no penalty for wrong answer. The duration of the test will be 2 ½ hours. Unit 2: Properties of matter. Unit 3: Heat and thermodynamics. Unit 10: Laser and optic fiber. Unit 2: S Block, P Block, d block, f block elements. Unit 3: Co-ordination Chemistry and Solid state Chemistry. Unit 4: Thermodynamics, chemical equilibrium and chemical kinetics. Unit 5: Redox reactions and Electrochemistry. Unit 6: Purification and characterization of organic compounds. Unit 7: Some basic principles of organic chemistry. Unit 9: Organic compounds containing halogen. Unit 10: Organic compounds containing Oxygen. Unit 4: Matrices and determinants. Unit 6: Permutations and Combinations. Unit 7: Binomial theorem for a positive integral index. Unit 8: Two dimensional coordinate geometry. Unit 9: Three dimensional geometry. Unit 11: Limit, continuity and differentiability. Unit 13: Ordinary differential equations. Unit 14: Set theory & Probability. Anyone interested in admissions to the University’s B.Tech programme should be a Resident / Non Resident Indian National. Foreign students are not required to write VTUEEE. In addition to the Government norms, aspirants who seek admission to B.Tech degree Programme should have either completed or shall be appearing in, any one of the following examinations. 6. 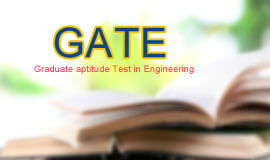 High School Certificate Examination of the Cambridge University or equivalent. • Aspirants who have studied in Regular, Full time and Formal Academic or Vocational Education stream alone are can apply for the exam. • Aspirants hailing from Jammu and Kashmir and the North Eastern states of Arunachal Pradesh, Assam, Manipur, Meghalaya, Mizoram, Nagaland, Sikkim and Tripura have to produce NATIVITY CERTIFICATES TO PROVE NATIVITY at the time of admission. • In case the marks statement is not produced by the candidate at the time of admission, the decision of the Authority of the University regarding his/her eligibility and admission to the programme shall be final. • He/She must be a pass in +2 (or its equivalent). For purposes of consideration for award of the Vel Tech Mahatma Gandhi National Merit Scholarships, the state from which the candidate has studied and appeared for the qualifying examination (12th standard examination of the State or Central Board) will be taken as the state to which the candidate belongs to, for ranking, even though the nativity of the candidate may be another state or union territory. Aspirants will require the softcopy (scanned copy) of recently taken passport size colour photograph with 10 kb – 300 kb (Dimensions – 3.5 cm x 4.5 cm) in jpg/jpeg/png format.Softcopy (scanned copy) of signature of the Candidate with 10 kb – 300 kb (Dimensions – 3.5 cm x 1.5 cm ) in jpg/jpeg/png format. The application fee can be paid through – Internet Banking facility through Net banking / Debit card and Credit card. 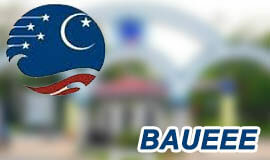 Students are required to enter valid mobile number and E-mail ID. Please remember, all the correspondence will be sent by SMS from LMVELTEC. The Hall Ticket will be sent by E-mail only. For online queries please contact – 08754416293. In case, the transaction is found not successful, even after the amount being deducted from your account, you are requested to wait for 2 working days. In case, if the transaction is incomplete even after 3 working days, then you are supposed to send a mail to webadmin@veltechuniv.edu.in. 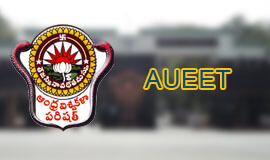 Aspirants can apply for VTUEEE by sending a demand draft drawn in favour of “ Vel Tech Dr.RR & Dr.SR Technical University”, payable at Chennai, to The Director- UG Admission with a request letter containing the full address of the applicant. They can avail the form from the designated branches of post offices on cash payment. Take a look at the list of available post offices addresseshere. 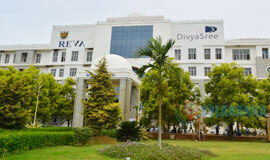 Aspirants can also hand over a DD in person at VELTECH University, Avadi, Chennai or at VTU’s Administrative Offices. 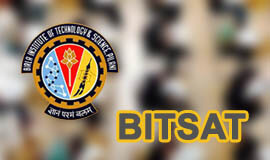 Aspirants can get the basic information on B.Tech Online Application here. Now, they can send the filled application along with the DD drawn in favour of “ Vel Tech Dr.RR & Dr.SR Technical University”, payable at Chennai to the below mentioned address.